Normally fruit – sweet and fresh are confined to desserts…but I like to go savoury with them sometimes. One of the first explorations was a mango salsa and I haven’t looked back since. While I won’t venture out yet to make a Banana salad…though now I think of it, I will…here are a few I’ve made recently. Though they end up looking and tasting different, there are a few guidelines for me, from flavour to textural considerations. Some heat, to counter and balance the sweet. Could be fresh, could be dried. 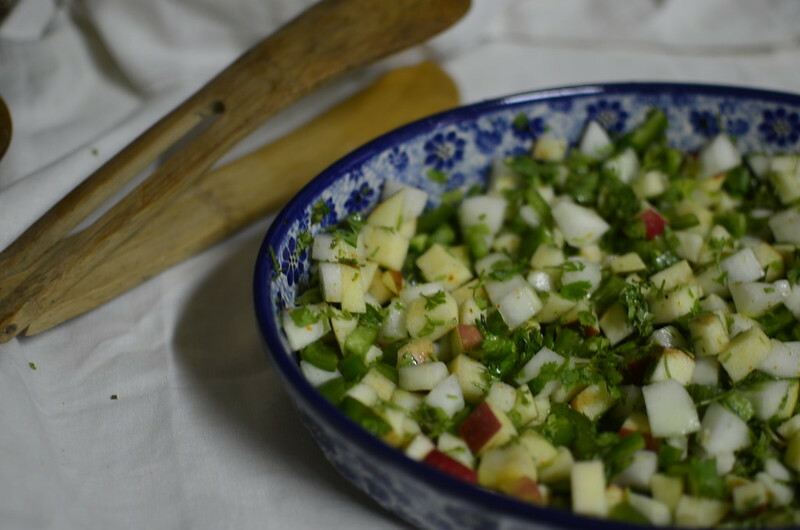 It would depend on personal preference…I like fresh chilies with soft fruits – mangoes, pawpaw, etc and chili flakes with crunchy fruits – apples, pears, etc. There might be no rhyme or reason but…go with your flow. I consider herbs – often cilantro, mint and scent leaves essential to lifting the flavour and tying it together. Just a bit sometimes add a dimension of flavour that ordinarily is absent. You could go for regular, to flavoured and finishing salts. Often from bell peppers, onions and cucumbers, lettuce. Proportions depend on taste. Without much ado, here are five (5) savoury fruit recipes. I’m a huge pineapple lover. A few times, I’ve attempted to have it cooked and have failed…though one experiment – grilling, still remains to be tried. 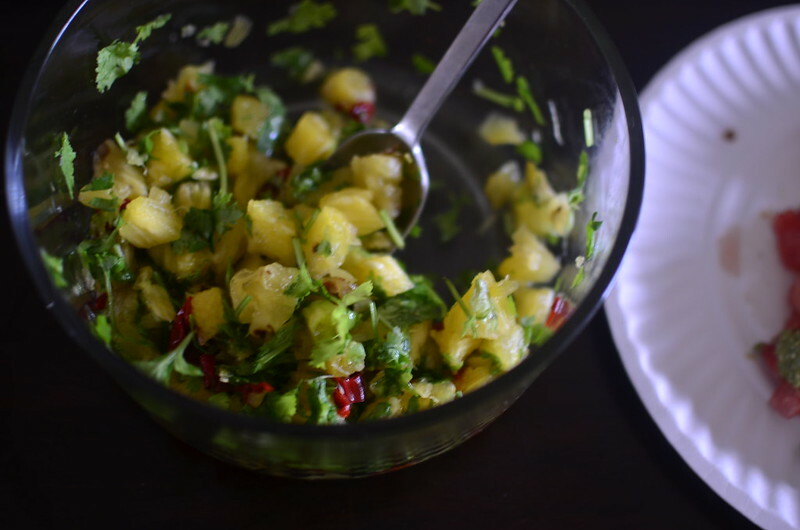 Here, I combined diced fresh pineapple with red chilies and cilantro. 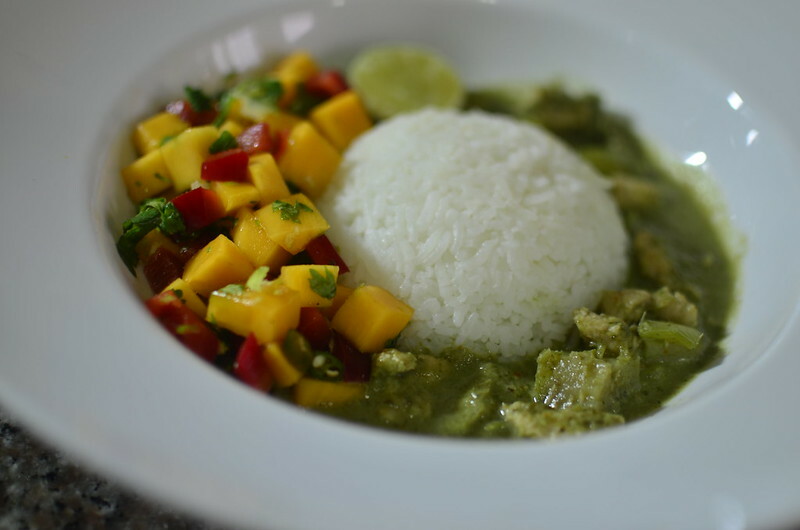 It was beautiful – the sweetness of the fruit matched the peculiar flavour of cilantro and welcomed the heat from the chilies. I’ve had watermelon chunks with feta and spice a few times – baked too. This is quite simple, but refreshing and delicious. 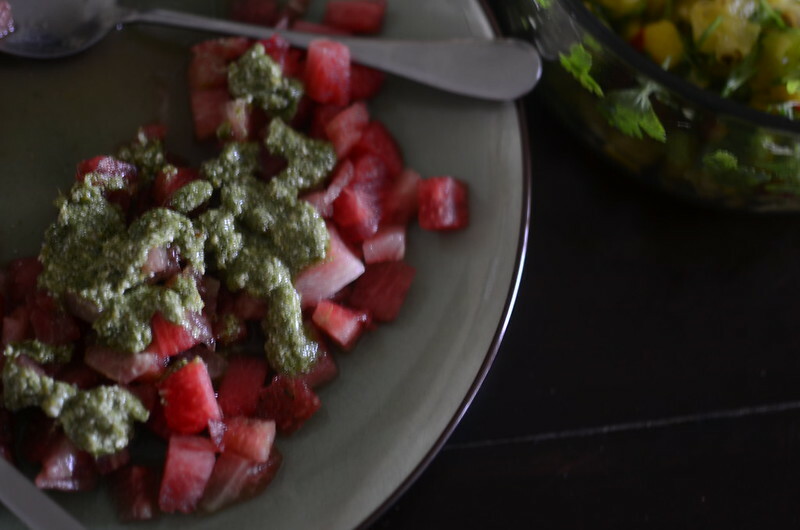 A simple dice of watermelon gets topped liberally with a green sauce made from my scent leaf dip, mixed with coconut cream (or milk) and crumbled feta cheese. You could prep the watermelon and refrigerate before serving. When ready for the table, top with the ‘sauce’ and serve immediately. I save the topping for last as it draws out liquid from the fruit which might make it too wet for some. Firm but ripe pawpaw works like mangoes, in salsas. I grew up eating pawpaw with rice so this is no biggie to me. Combined with crunchy vegetables, herbs and chili, it makes a delightful addition to any table, and a perfect accompaniment to rice. And cucumber, and you have one of the most refreshing combinations ever. Lightly season the fruits with salt and chili and a splash of vinegar if you like. Add some herbs – cilantro again :), and mint and you’re good to go. A firm fave. Or go Thai, and make a salad of a snack. 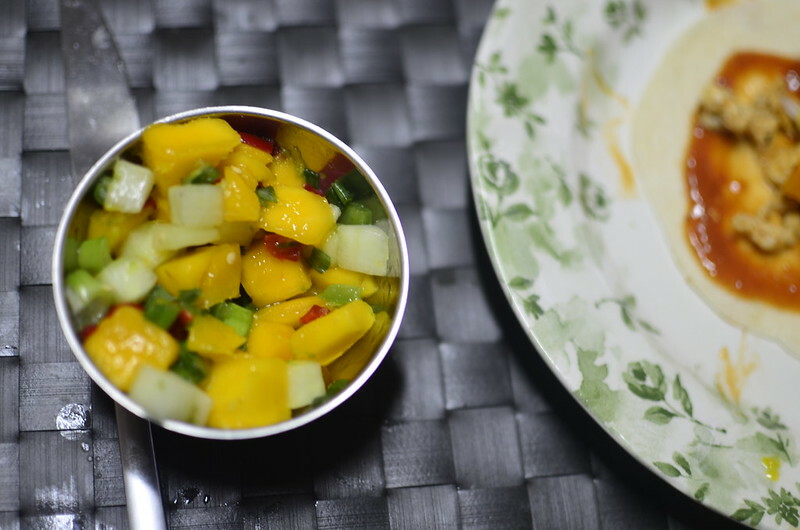 Or explore a few other mango salads – with an herb paste, with shrimp and in the manner of coleslaw. And as I said, I haven’t gone the banana route yet (plantain done though)…but I will. Watch this space.